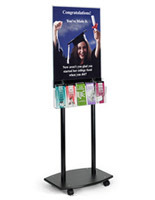 Do you run a travel agency or manage a rest area? 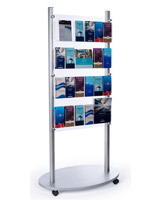 Maybe you work the front desk at a hotel. 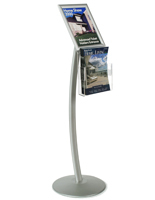 There's no doubt that in all of these locations travelers will be looking for maps and informational brochures to guide them. 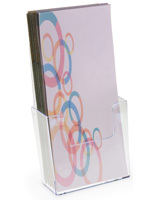 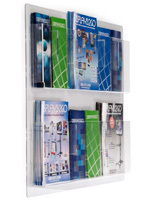 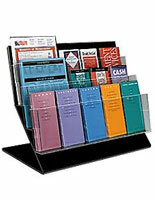 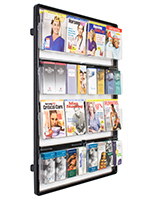 Road map racks will help you keep all these materials neatly organized. 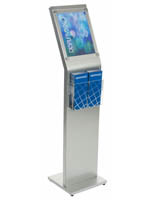 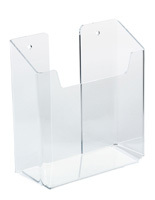 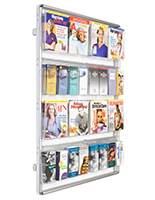 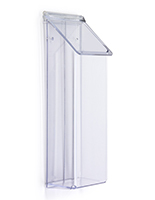 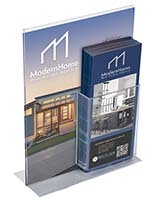 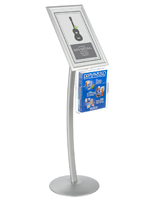 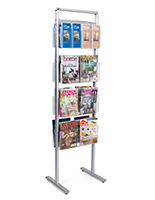 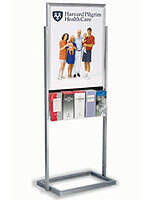 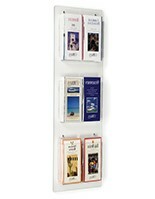 Our selection includes not only floor standing units with many pockets but also countertop and wall mounting options. 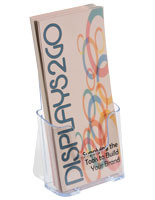 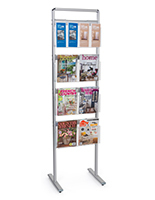 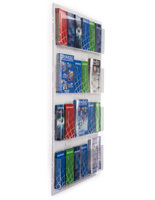 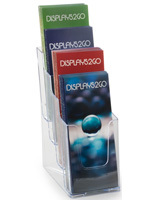 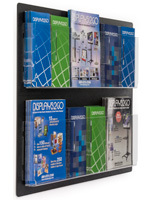 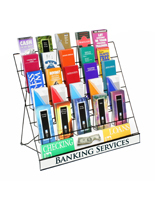 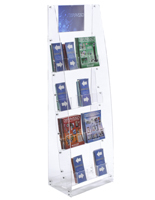 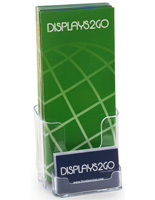 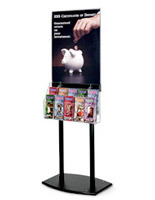 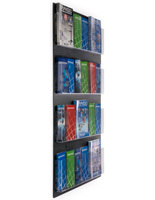 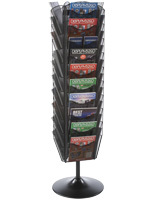 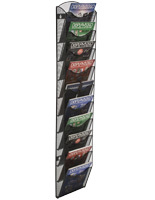 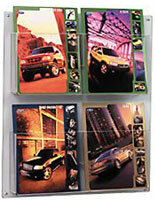 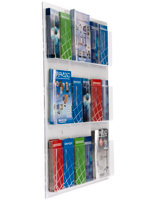 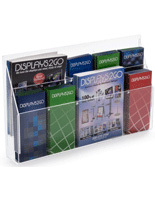 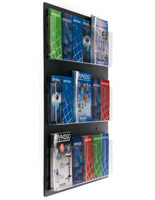 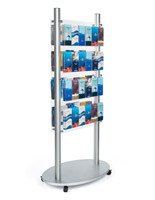 Each of these road map racks is specially designed to accommodate folded area maps and miniature atlases. 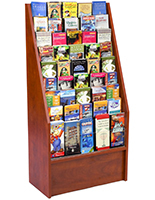 The pockets are made for 4" x 9" literature and are deep enough to fit several maps at a time, so presenting a wide array of travel booklets is simple. 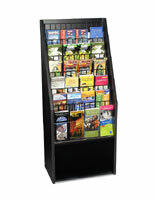 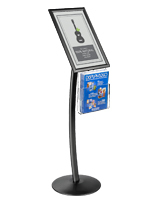 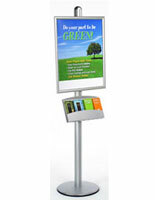 A road map rack is frequently used at national parks, monuments, and other globe-trotting hotspots to make sure sightseers can easily navigate to and experience all the places they want to. 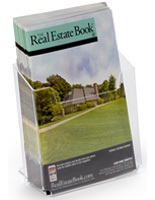 Even with all the improvements to GPS technology, many vacationers still want a real paper map. 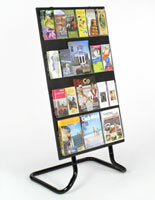 One reason is that they want to keep it as a souvenir from their trip. 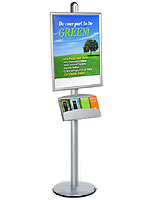 Another reason is that rural locations like national parks generally lack service, which can render smartphone apps and standalone GPS utterly useless. 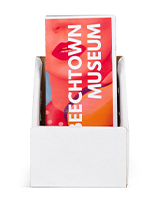 And how many times has a dead battery put the brakes on your plans? 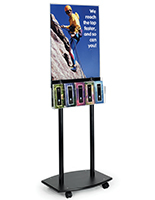 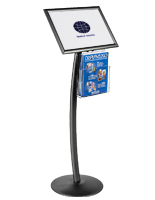 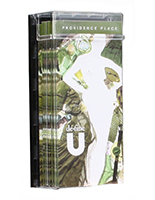 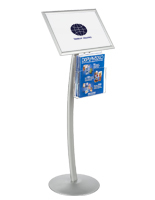 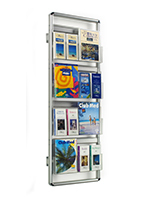 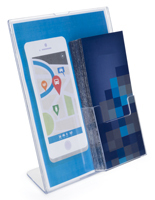 Mini atlases, trail maps, and other topographical materials continue to play an important role in travel if for no other reason than a backup or a keepsake, so keep the spirit of vacationing alive and install a road map rack at your location!